Determining the precise order of the four nucleotide bases that make up a strand of DNA or RNA is crucial because they ultimately dictate the structure, location, and function of any given protein. When German engineer Carl Benz took the world’s first automobile out for a spin in 1886, most observers were underwhelmed. With an engine that generated 0.75 horsepower and a top speed of 10 miles per hour, not many people rushed out to buy Benz’s first car. The $1000 price tag, an outrageous sum at the time, also discouraged all but the wealthiest would-be auto enthusiasts. But subsequent generations of cars not only got faster, they also became more affordable. By 1914 the Ford Model T had a top speed of 50 miles per hour and a baseline price tag of $550. The result? A complete transformation of the way people and goods moved, and a cultural shift towards innovation. Genetic sequencing has the potential to change 21st century medicine the way automobiles changed 20th century transportation, and next generation sequencing (NGS) techniques are replicating the advances in speed that characterized next generation cars. But to reach its full potential, sequencing, like cars, needs to get faster and more accessible. Genetic sequencing has the potential to change 21st century medicine the way automobiles changed 20th century transportation. 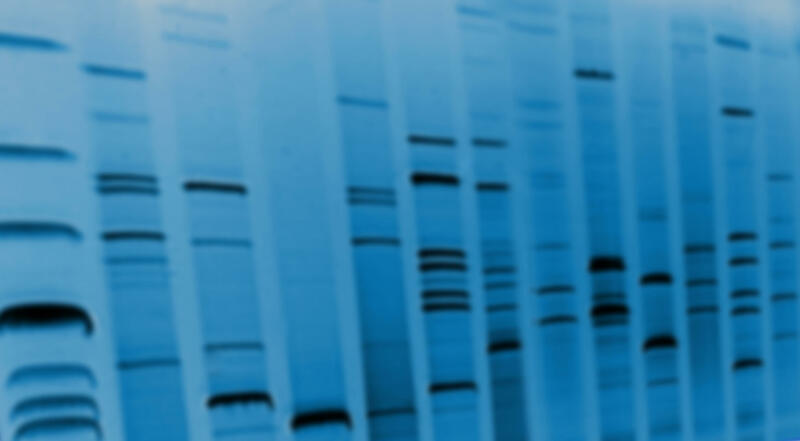 While the idea behind nucleic acid sequencing is actually pretty basic, anyone who has spent time in a lab knows it is fairly complex in practice. Despite this challenge, determining the precise order of the four nucleotide bases that make up a strand of DNA or RNA is crucial because they ultimately dictate the structure, location, and function of any given protein. Sequencing nucleic acids can therefore provide insight into how a disease state might function and who might benefit from a medicine. In short, sequencing plays an important role in the development of more effective therapeutics. Traditional sequencing techniques allow a scientist to read about a thousand nucleotide bases at a time, a small fraction of the three billion base pairs in the human genome. We need to do better than traditional sequencing if we want to get potential medicines to people in need in a timely manner. I remember when I was a PhD student, I watched a concept video for next generation sequencing and thought, “There’s no way in heck this is going to work in practice!” After all, NGS promised the ability to sequence over 30 billion bases in a single run. This would allow a researcher to sequence the human genome ten times over in less than a day. It seemed too perfect. But NGS does work, and my colleagues and I utilize it regularly, most often with the goal of sequencing mRNA (RNAseq). The implications of this are huge: RNA is a key translator within cells because it uses the blueprints contained in DNA (either by carrying or deciphering that genetic information) to dictate how amino acids are assembled into proteins in real time. These proteins play crucial functional roles. Knowing how a potential medicine affects the RNA profile of a cell can therefore go a long way in telling us whether that medicine may be effective. For example, if a compound is designed to stop the growth of tumors, knowing whether it affects the RNA that codes for growth-regulating proteins in a cancer cell is an important clue into how well it might work. For those reasons, we’re using RNA sequencing to enable the discovery of potential targets for new medicines and to understand exactly how these medicines work. In fact, Pfizer’s Kendall Square site even has a brand new Tech Center devoted entirely to NGS. Indeed, next generation RNA sequencing lets us create massive data sets with unprecedented speed. But just like with the first cars, speed is only part of the equation. Doing RNA sequencing at a scale that allows creation of those massive datasets may also mean massive financial investments. Because of this, one facet of our research is to develop more efficient sequencing technology that can be a useful tool for answering certain biological questions about RNA. How are we doing this? While RNA molecules are about 2000 bases long on average, we’ve devised a way to sequence a minimal portion of the molecule in a process called 3’-Pool Seq, allowing researchers to combine more samples in any given run and save over 90% of reagent costs. In many ways, what we are doing is the same thing early automakers did. They added speed and efficiency, and the result was more accessible transportation for the masses. That’s what we want to do with next generation sequencing by sharing our technique with scientists in labs all over the world. Changes in early automotive technology were the basis of many improvements in life in the 20th century. We think this technology could also serve as the basis for positive changes in the 21st century.